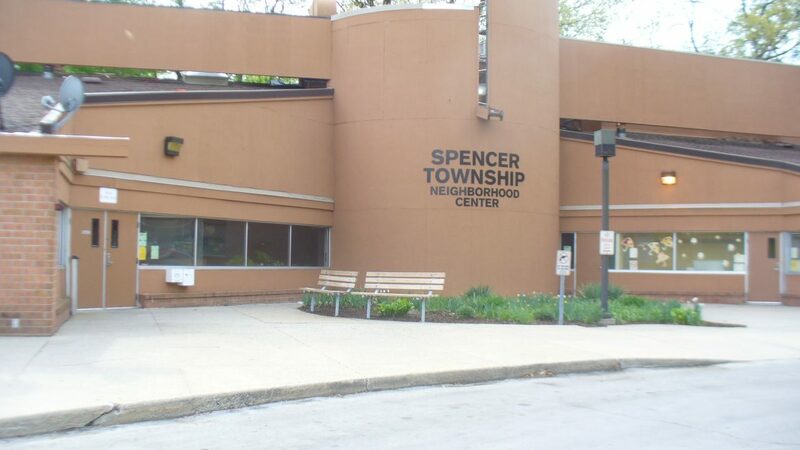 Spencer Township Neighborhood Center serves as a triple Center for the Community. With serving as a community center we host various events for the various age groups. For our seniors, programing is held in the morning with daily fun activities. The youth center is held seasonally and periodically with advertisement, when available. LIBRARY -Spencer Twp. Neighborhood Center has a growing Library for area residents, with the closest public library eight miles away we put a good book for relaxation or research just steps away. The Neighborhood Library is open to check out books or just relax and read. The Library is open to the public and books can be checked out through the main office. COMPUTER LAB – Need a benefits print out, looking for or applying for a job, need to research or type school assignments, or just looking up info., the Neighborhood Computer Lab is available for your use during office hours. Hours will be extended as need grows and staffing is available. Two free copies on Tuesdays only. EDUCATIONAL AND INFORMATIONAL EVENTS bring resource providers and presenters into the community to help individuals build the road to stability. These are a relaxed atmosphere for individuals to come together and gain valuable information. Check our calendar for upcoming events. Bring your family, friends and neighbors together for a fun afternoon or evening. These gatherings build relationships as well as providing opportunities to contribute to community through volunteering. Free community dinner once a month at 6PM. Everyone welcome. Seniors Programs – Reaching out to seniors through socialization, activities, and friendship. Need something to do in your free time? Check out our programing for 55+ community in the morning. Just want to stop for lunch and socialize, or attend an activity. We serve as a site for Valley Services who provides lunch for our senior community! YOUTH – Check Out What’s Happening on Community Calendar and Join in! Stop in and share your ideas. We provide fun opportunities to work together, problem solve and build confidence to face the challenges of your future. TAI CHI CLASSES – Free Tai Chi Classes held Tuesday and Thursday 12:45pm to 1:45 at the Neighborhood Center presented by the Lucas County Health Dept. and taught by a certified Instructor from the Health Dept. Come join in – Great for all levels of ability! Call for dates of current twelve week sessions. HEAP Applications are available for Heating and Summer Cooling in the Center Office and A Representative comes from Pathways on Tuesdays. Call Tuesday Mornings, for exact time. FREE summer meals for kids – We have partnered with connecting kids to meals to provide a nutritious lunch to kids. Call center in May to check when the program will be starting.